I came home this week after a trip to London with no nut butter on hand, a rare occurrence for me. With jet lag still hitting hard I needed something to do at 6am this morning and whipped up this spread. 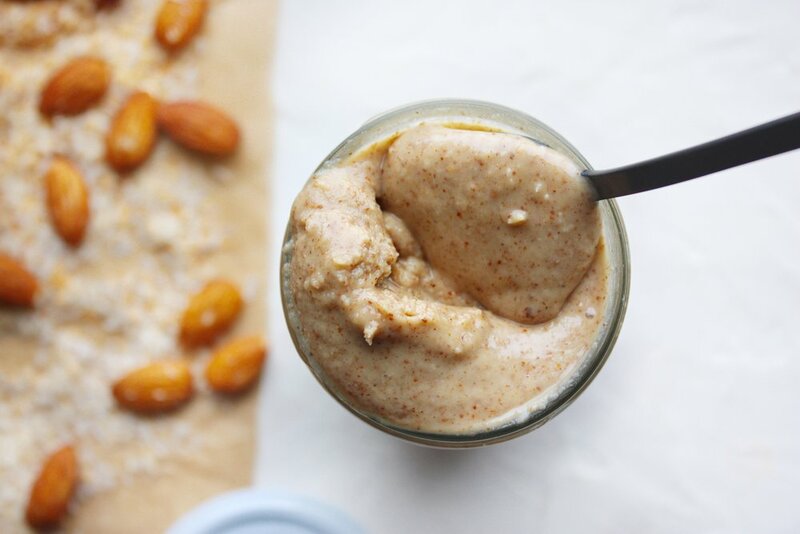 Spreading it on Medjool dates makes for a sensational snack, but I'm fairly certain I enjoy anything with a spoonful of nut butter added to it. Preheat oven to 350°F. 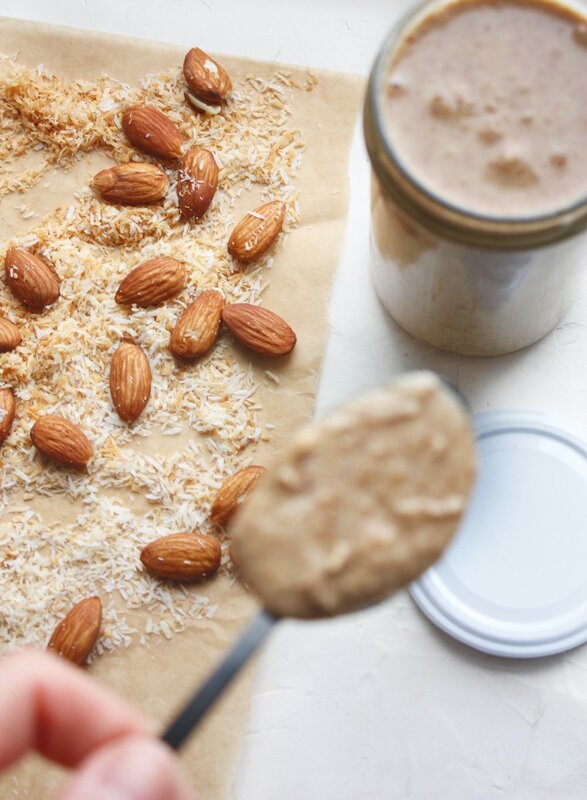 Add coconut and sprouted almonds to a baking sheet, place in oven for 8 - 10 minutes to lightly toast. 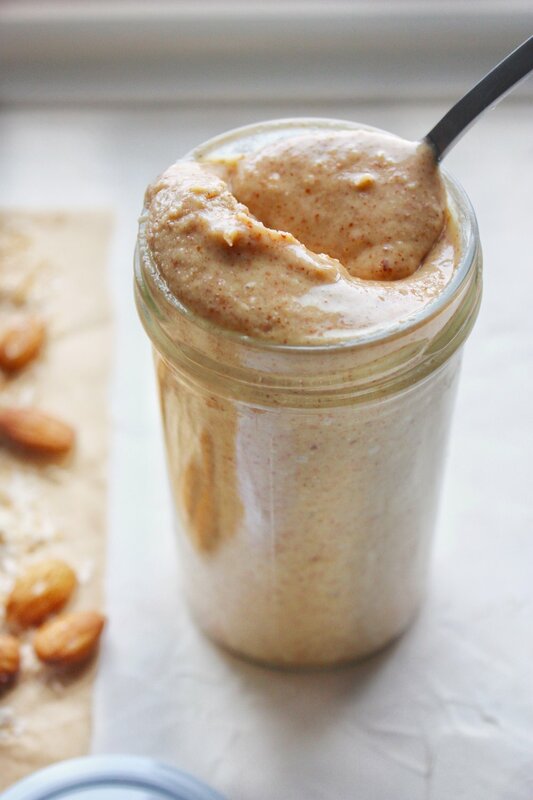 Remove almonds and coconut from oven and add all ingredients to a food processor or blender. 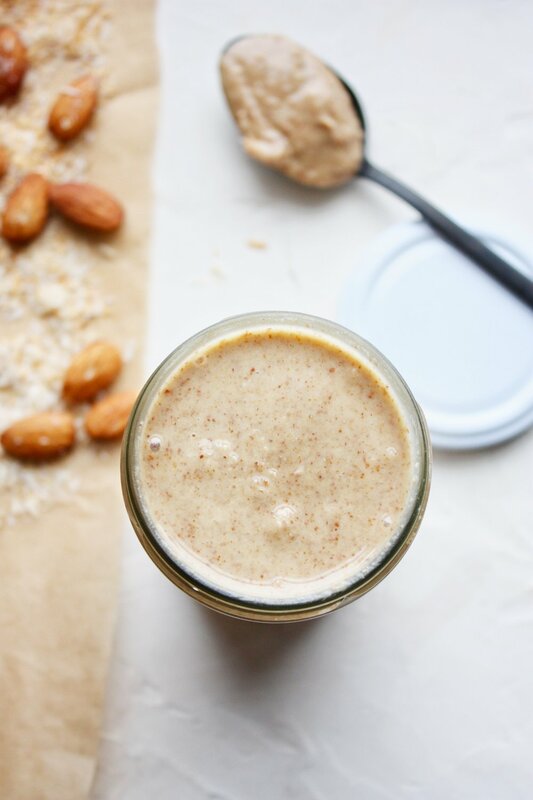 Blend on high until a runny and smooth nut butter forms. The amount of time this will take is entirely dependent upon your appliance and you may need to scrape down the edges in the first few minutes. A note: I have an older s-series vitamix that isn't crazy powerful like the other models and it needs a lot of help from a spatula to move things along. I used the coconut oil to help out, but again, feel free to omit if you can achieve a runny and smooth consistency without it.